Celebrate your strength with this statement pendant. Ovals traditionally represent a woman’s divine inner strength. 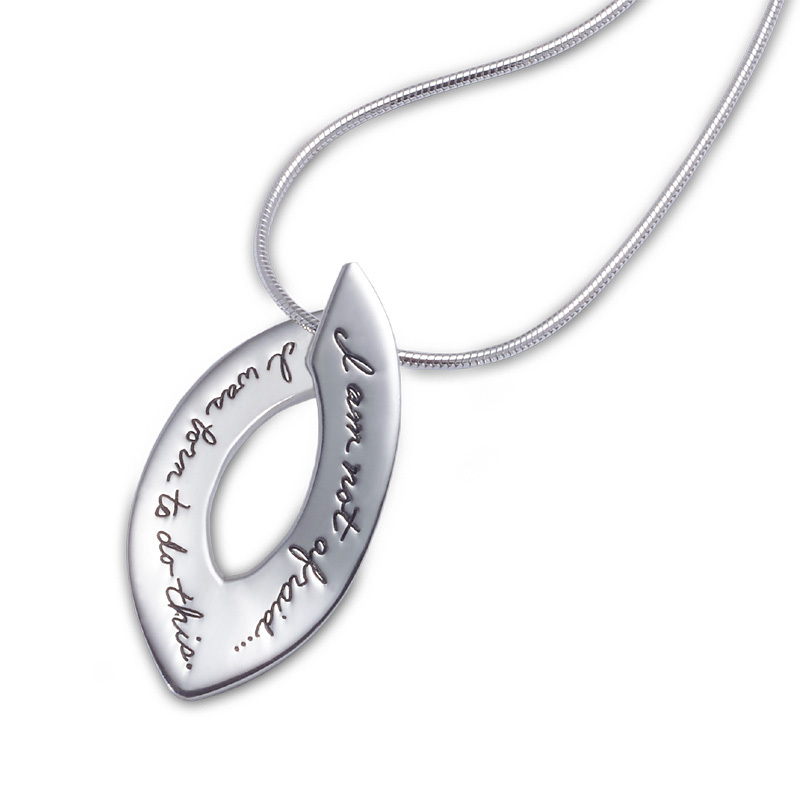 This powerful sterling silver oval gains even deeper meaning thanks to the handwritten quote inscription. Joan of Arc believed God chose her to lead a victorious war. The Roman Catholic Saint defied traditional roles and expectations to reach for her destiny. Her words, “I’m not afraid…I was born to do this,” have inspired women for hundreds of years. This stunning necklace will encourage whoever wears it to stand tall as the heroine of her own story.